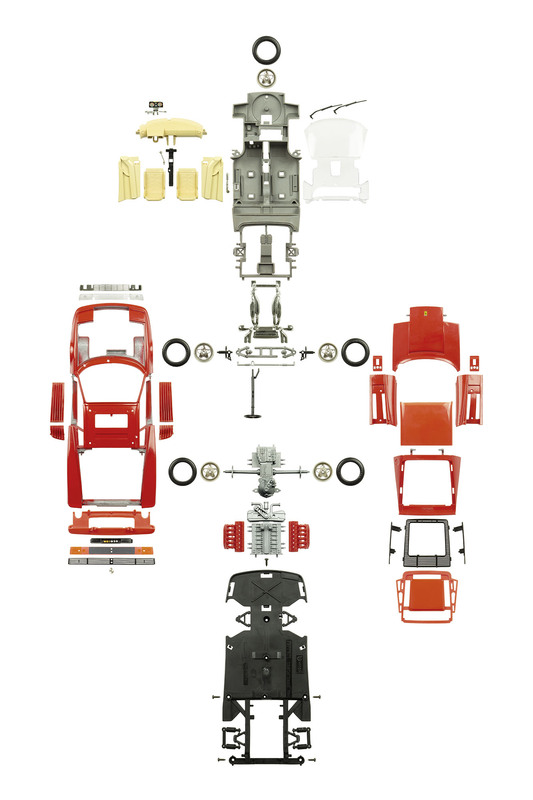 Print on paper of a deconstructed Bburago 1/18 Ferrari Testarossa 1984. In 1983 Berlusconi promised his voters a free Ferrari. But much like the cake, it was a lie. Curious about its possibly true story? Read it here! A high quality print on paper of a deconstructed Bburago 1/18 Ferrari Testarossa 1984, with stunning detail. All the parts have been photographed separately, before they were all arranged and combined into a single, highly detailed picture.